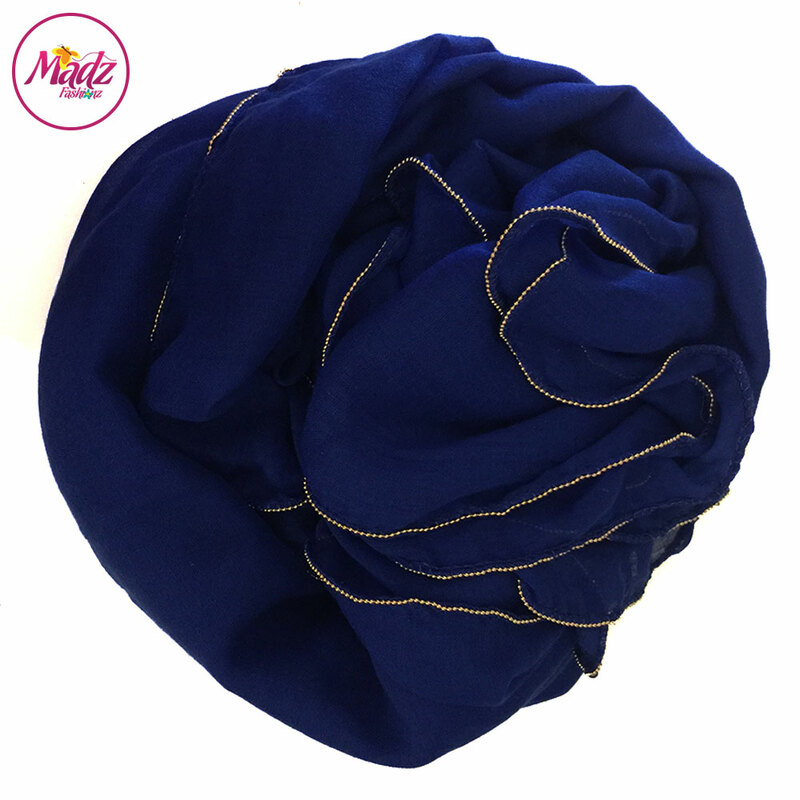 Long plain cotton viscose hijab in Royal Blue colour. The cotton scarves are high quality and they look very elegant with the stunning pellet golden beading lace all around the hijab to complete the look. The scarf is soft and gentle, perfect for creating any hijab style. If you purchase this product you will earn 40 Points! Worth £0.40!